Don't be fooled by the "beginning" in the title. 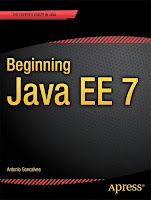 This 600-pages book is a comprehensive and complete walk-through of all components and technologies comprising Java EE 7 stack. 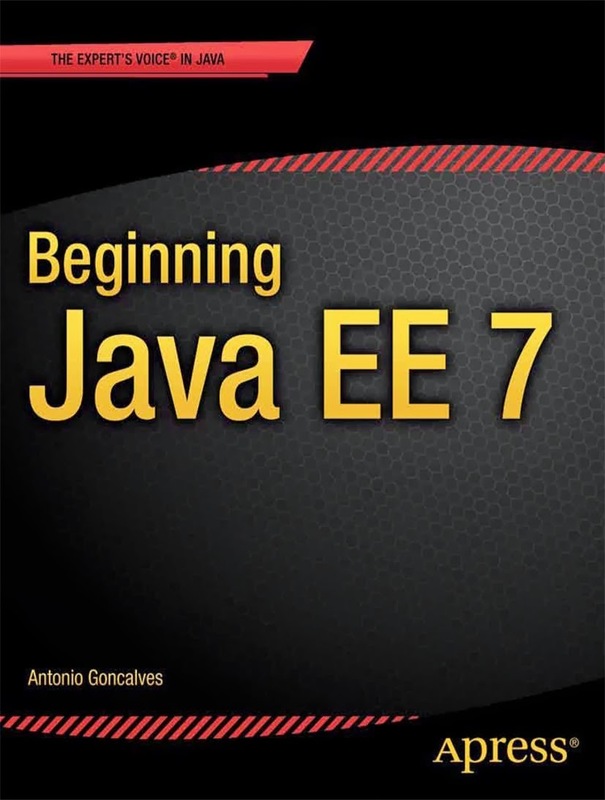 Antonio Goncalves, Java EE evangelist and Java Champion, wrote a reference book for all enterprise software developers. As you can see the book covers all the layers from back-end to API and front-end development. Moreover due to solid size of the publication each of these subjects is treated with care. Expect plenty of end-to-end examples including maven configuration. Sometimes the author goes a little bit too far explaining the history of each technology, how it was evolving and by what was it influenced. Useless in my opinion but luckily such sections ("A Brief History Of...") are clearly separated, thus easy to skip. Moreover some may find these boxes interesting in a way. This is the kind of publication that you will definitely not read from cover to cover but instead go back many times, cherry-picking technologies and details you want study. For example JPA is explained throughout as many as three chapters, I believe almost every annotation is described with concise example. The language is understandable and pleasant to read. I was a bit uncomfortable though with the term "configuration by exception" used instead of more popular (?) "convention over configuration" - not to mention the word "exception" is a bit misleading. I didn't found any grammar issues, maybe except awkward looking "Constraint annotations are just regular annotations, so they must define meta-annotations" sentence. I can honestly recommend this book to anyone from Java EE novice (as a general learning resource) to intermediate developers – to serve as a reference. It is not a quick and dirty tutorial but a comprehensive guide that will help you for years.